The bill would allow local governments to provide incentives such as reduced water rates and utility fees and property tax abatements for farmers in “urban agriculture zones” established at the municipal or county level. After passing the Illinois House by a vote of 86-22 in April, the bill passed the state Senate on May 23 by a unanimous 55-0 vote, sending it to Rauner’s desk for final approval. 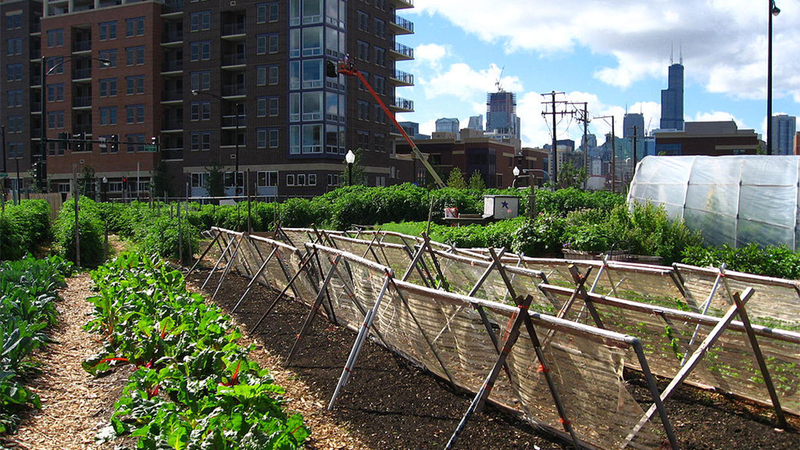 “[The legislation] will help open doors for urban farmers to supply healthy foods, grow valuable jobs and revitalize land in communities needing extra support,” said Rodger Cooley, executive director of the Chicago Food Policy Action Council, in a statement. The nonprofit aims to increase access to healthy foods in underserved Chicago neighborhoods. Introduced last year by state Rep. Sonya Harper, D-Chicago, House Bill 3418 would apply to organizations or individuals who grow produce or other agricultural products, raise or process livestock or poultry or sell a minimum of 75 percent locally grown food. According to the bill, sales tax from agriculture products would be deposited into an urban agriculture zone fund, and monies collected in the fund would be specified for a county, municipality or school district. Harper has previously said that the money could be used in a variety of ways, such as for educational programs focused on nutrition or to support businesses and farms. The legislation has received support from both environmental advocates and groups focused on increasing access to healthy foods in urban areas. “This bill will make farm dreams a reality for many urban growers,” said Liz Moran Stelk, executive director of the Illinois Stewardship Alliance, which advocates for local food and farms, in a statement. "It levels the playing field for producers across the state to access and afford land." A separate piece of legislation introduced by Harper and passed into law last year requires Illinois to track food deserts, or areas lacking fresh fruit, vegetables and other healthy foods.